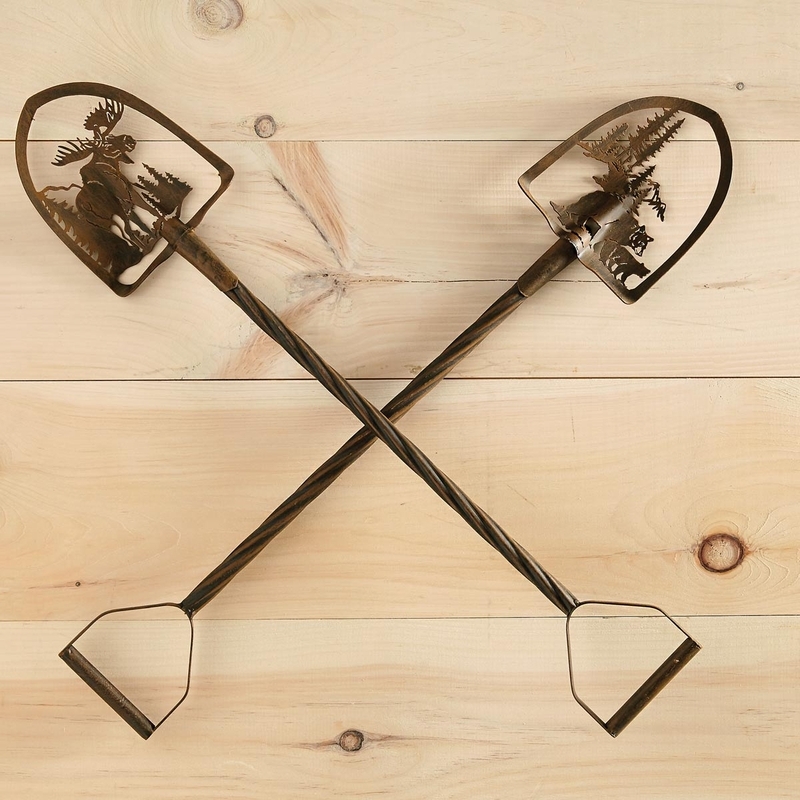 A Black Forest Décor Exclusive - This shovel shaped metal art with cut-out bear and moose silhouette scenes is perfect for wildlife enthusiasts. 6 1/2"W x 30"H.
A Black Forest Décor Exclusive - This shovel shaped metal art with a cut-out bear and tree silhouette scene is perfect for wildlife enthusiasts. 6 1/2"W x 30"H.
A Black Forest Décor Exclusive - A mighty moose looks back in this cut-out metal wall art with a shovel shape. 6 1/2"W x 30"H.